Dave Ramsey has been a go-to for personal finance advice for decades. Thousands, and possibly even millions, of people, have turned to him for what they should do next. Ramsey’s specialty is reaching financial freedom, which we all want. The first step to achieving financial independence is paying off your debt. That sounds way easier than it is though – so, how do you start paying off debt? In the video above, a caller details his family’s financial struggle. At the time of the call, they were at least $96,000 in debt and had no clear plan of how to pay it off. Ramsey outlined the following steps to solve the family’s debt crisis. Get organized. First, get all of your finances into one place so you can see everything. Mint is a great tool to use for this! Know how much you owe. Once you have all your finances in one place so you can see how each part is moving, write down how much you owe and what kind of debt it is. Start writing down a budget at the beginning of every month. A written budget is a great way to keep on top of things and you’ll be able to see and plan every part of your finances. Sell everything you can. In the video, Ramsey tells the caller to sell his $27,000 car. It doesn’t always need to be that drastic, but you can look for things around the house to sell or even downsize to one car if needed. Identify ways to trim your budget. Once you have been budgeting a month or two, identify places to cut cost. For instance, you will need to cut eating out, going on vacation, and many other fun things to achieve your goal of being debt-free (but it will be worth it). Check out this Budget Planner. Make extra money when you can. Whether it is picking up a second job, selling personal items, or odd jobs, find a way to bring in some extra cash. Then, put all your newfound money towards paying off your debt. Readers, have you read or listened to Dave Ramsey in the past? What do you think about his response above? When is Debt Consolidation a Realistic Option? When it comes to paying off debt there are multiple approaches you can take. For some, debt consolidation seems to be the answer but is debt consolidation the best answer? Debt consolidation is essentially taking out one loan to pay off all (or a good chunk) of your debt. It is generally used for people who have a large amount of consumer, or credit card, debt. 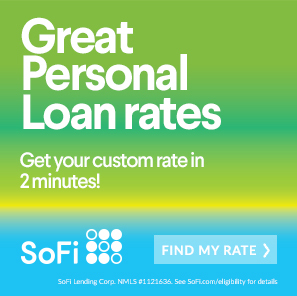 This makes it so that you’ll have one easy payment each month going towards your debt-payoff efforts. For some, this has been the answer to their struggle with debt. The biggest issue with debt consolidation isn’t taking out a loan to pay everything off. The issue lies with the individual’s personal finance approach. Normally, people who consolidate their debt have no plan to spend cash and not run their credit cards for everything. This makes it so that some people who have taken the debt consolidation route may wind up back in tremendous debt. There is also a good chance that they don’t have an emergency savings fund either, which means if an emergency arises it will likely go on their credit card. And, even if you’ve established a solid plan for saving and reforming your spending habits, debt consolidation may wind up costing you more in the long run. For the most part, people choose debt consolidation to make their lives a little easier and, in some cases, decrease their monthly debt payment. However, debt consolidation loans can come with a higher interest rate and will last much longer than most of your current debt repayment plans. This means you could potentially wind up paying more when all is said and done. If you’re thinking about debt consolidation, you’re not alone. There are plenty of people who have consolidated and paid off their debt successfully. And, while there are plenty of things to consider before doing so, it is a viable option for some. 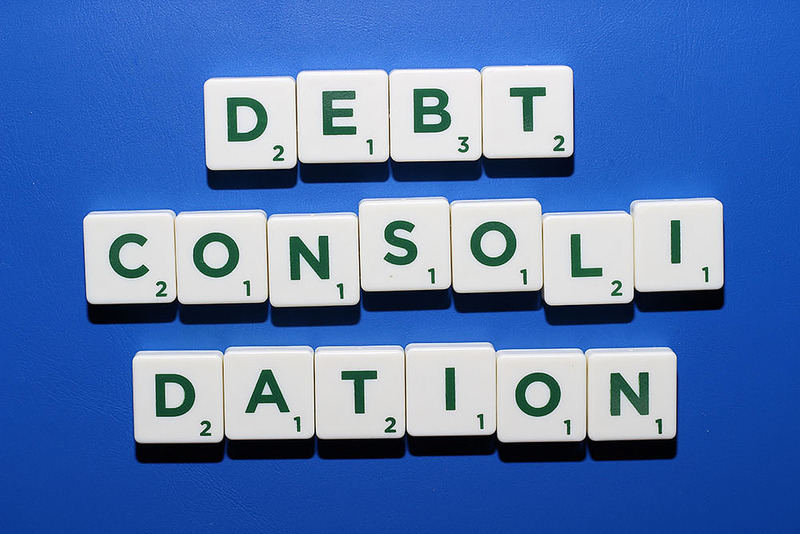 If you’re considering debt consolidation, remember the bottom line: Will it cost you more to consolidate? If the answer is yes, don’t. Also, be sure that you have a solid financial plan for once your debt is consolidated so you don’t go back to the same spending habits. Oftentimes “moving” the debt, like you do when you consolidate, makes people forget about the debt they were in, to begin with. Get a Look at Your Finances – Take a minute and really sit down with your finances. Get an idea of what is possible and what is out of reach in terms of paying off your debt and your budget. If you need to, reach out to a financial advisor. Write Down Your Budget – Once you’ve got a sense of what your finances are like, start tracking your spending and create a budget. Make sure you write it down and hold yourself to sticking to it! Get a Second Job – If you’re having trouble paying off your debt, consider getting a second job or side hustle. Bringing in more money will always positively affect your finances. Live on Less Than You Make – This is a budgeting basic but something you need to keep in mind. If you truly want to be debt free you CANNOT spend more than you make. Don’t Take on New Debt – If you’re just getting out of debt or trying to get out of debt, don’t take on any new credit cards or loans. Though credit card offers can be tempting, just say no. Getting out of debt is no easy feat. While debt consolidation may seem like the answer to your problems, be sure you consider taking some simpler avenues (like living on less than you make and earning more) before taking on a consolidation loan. Remember, it’s not really getting rid of your debt, it is simply moving it! 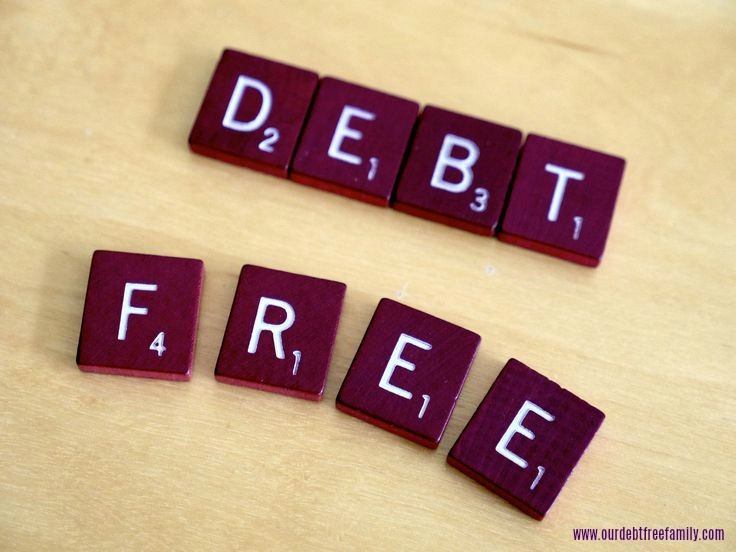 Have you consolidated or paid off debt successfully? We’d love to hear your story! As a millennial, I feel I’ve grown up around people who would rather say “I wish I could do that” than work for what they want. I’ve heard plenty of people say they aspire to be wealthy or aspire to be debt free. Why keep on dreaming when you can make small changes in your life today? Generally it just takes a few consistent changes in your life to start working towards a goal, such as becoming debt free. This has been a goal of mine for quite some time and I’m always wondering if there is more I could be doing to ease my path to financial freedom. When I started to think about it there was only one thing I needed to change in order to start working towards becoming debt free and living my life as a financially free adult. My attitude towards finance has been melancholy (something I truly couldn’t afford). So, I decided to identify some characteristics of people who are debt free. Most people who become debt free are goal-oriented. After all, paying off your debt and becoming financially free isn’t something you can do without having visible and manageable goals. 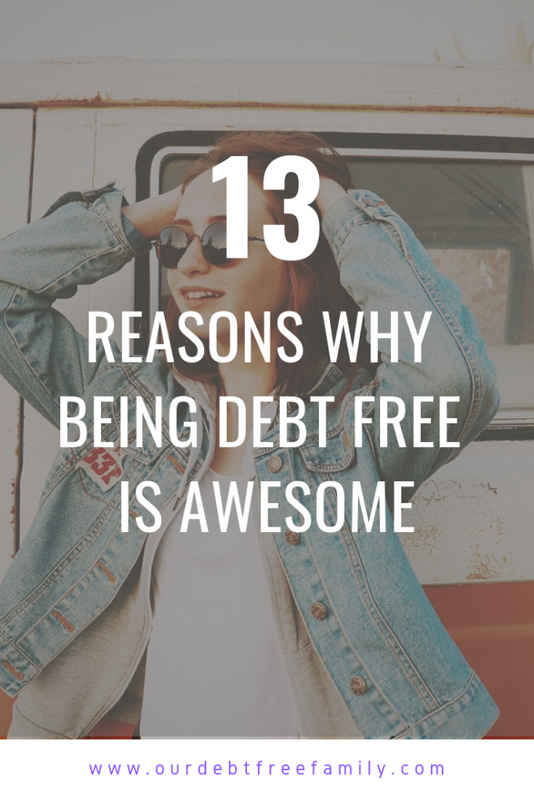 If you want to become debt free you will have to establish goals for yourself and being goal-driven will help you obtain your debt free status. A lot of people who don’t have any debt can come off as cheap or frugal. This is because they know that debt is not a tool. You don’t use money that you don’t have to pay for things you don’t need. You also wouldn’t pay full price for something when you can get it much cheaper elsewhere. Having this mentality keeps them debt free. Paying off debt takes a lot of time and patience, therefore, debt free people are usually very patient. Nothing with finance will happen overnight (unless you hit the lottery and even that takes time) This is one of the many characteristics that helped them become debt free in the first place so it is a great one to adopt for yourself. If your end goal is to be debt free you cannot place much value in materialistic things (unless you have the cash to pay for them). Many people go into tremendous amounts of debt because they want to have nice things. Instead of applying for store credit, buy the item(s) you can afford. Living lavishly won’t lead to financial freedom. Lastly, people who have become debt free are always willing to make sacrifices. If they can’t afford to do something, they don’t do it. They will also likely turn down an outing if they have a small amount of debt to pay off so that they may be debt free again sooner. Obviously not all of these are characteristics that can be adopted by everyone but if you attempt to be a little more frugal and pay close attention to your finances you may be able to become debt free some day too!